“Binder was a city lover whose thinking was entirely modern.” These were the words of Joseph Binder’s wife and long-standing companion Carla Binder, as she remembered her husband: “You can’t express it any other way.” Since the 1920s Joseph Binder had been one of Austria’s most innovative designers and after emigrating to the US in 1936 and opening a studio in New York he was able to exert a lasting influence on the American scene as well. Joseph Binder was born in Vienna on 3 March 1898. He completed an apprenticeship as a lithographer before attending the Vienna School of Arts and Crafts (Kunstgewerbeschule), where he was taught by Bertold Löffler. After finishing his studies, he initially worked at the shared studio ESBETA before establishing his own independent studio in 1924. 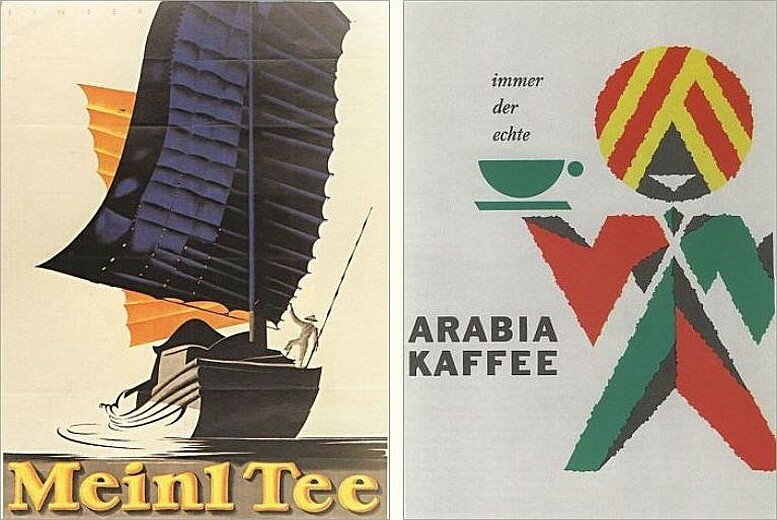 Success soon followed: only a short time later he created complete corporate advertising campaigns, such as for the coffee and tea companies Arabia and Julius Meinl. His work received international acclaim relatively quickly and was published in renowned specialist magazines. For example, in 1928 Hermann Karl Frenzel wrote about Joseph Binder in the German magazine “Gebrauchsgraphik” (Commercial Art): “He is a born poster designer. For every assignment he has succeeded in achieving reduction of a mastered form, the highest principle for any poster designer, visual simplification and the possibility of rapid perception.” As a result of this international renown, Joseph Binder was given a teaching appointment in the US. 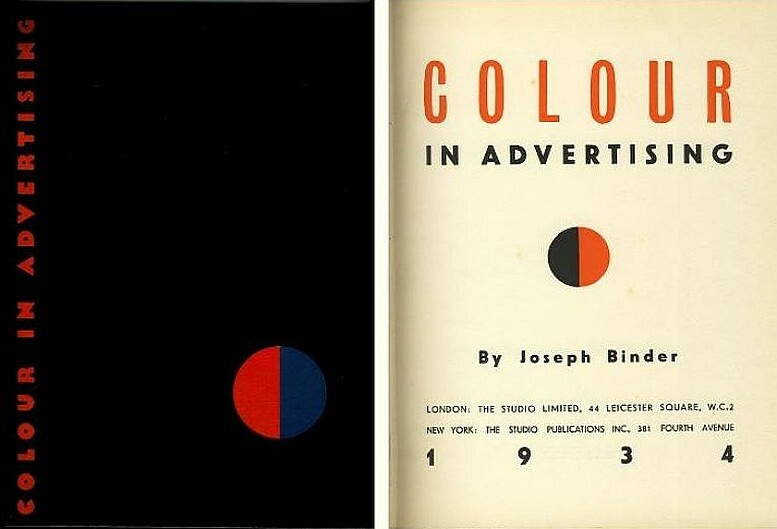 In 1934 his book “Colour in Advertising” was released by the publishers of the specialist magazine “The Studio” that were situated in London and New York, a choice that also evidences the targeted manner in which Joseph Binder was working towards a career in America. The first chapter of the book begins with the words: “Colour is the poster-painter’s chief means of creating effect. It is his vital factor, but for that very reason it is necessary in the first place to understand clearly what the laws of colour are.” The book is subsequently dedicated to clarifying the significance of colours in the area of applied graphics, with the author adopting a path-breaking approach in his discussion of the topic. In 1936 Joseph Binder and his wife Carla finally moved to New York. His newly established studio enjoyed very rapid success. Here too, he delivered a broad graphic spectrum that extended from company logos, advertisements and posters to magazine covers. 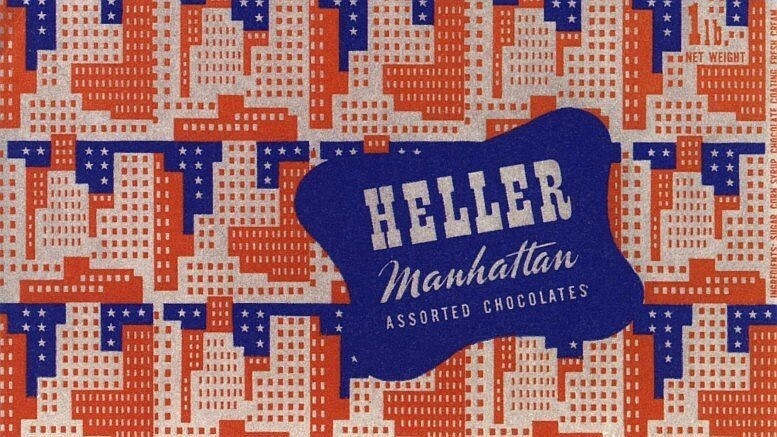 During this time, valuable help owing to his knowledge of German was provided by Alex Steinweiss who worked in Binder’s studio and was greatly influenced by the design principles of his employer. Several years later Steinweiss created the first graphically designed record cover for Columbia Records. Joseph Binder soon made use of skilful self-marketing with networking, publications and targeted participation in competitions to make a good name for himself in his new home country. Work for the US Red Cross or United Airlines documents his high international renown as a graphic designer. 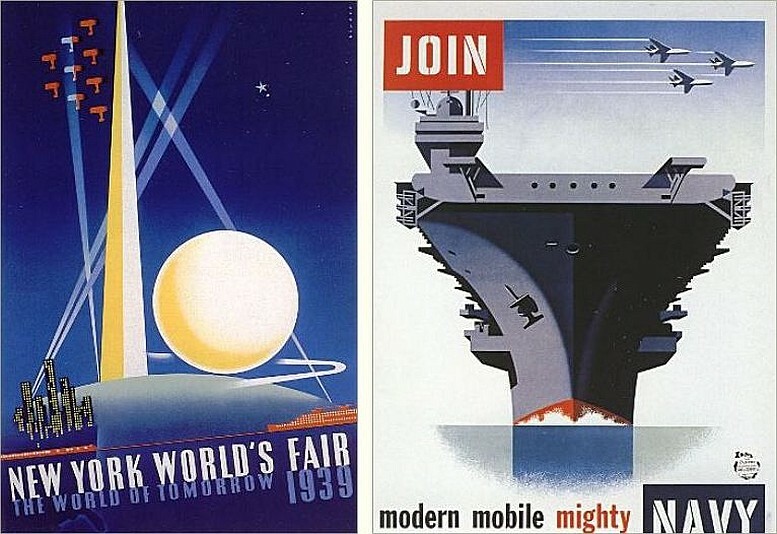 In 1948 Binder was appointed Art Director of the U.S. Navy Recruiting Stations and remained in this position until he retired in 1963. Binder, Carla: Joseph Binder, an artist and a lifestyle from the Joseph Binder Collection of posters, graphic and fine art notes and records, Vienna – Munich 1976. Noever, Peter (Ed. 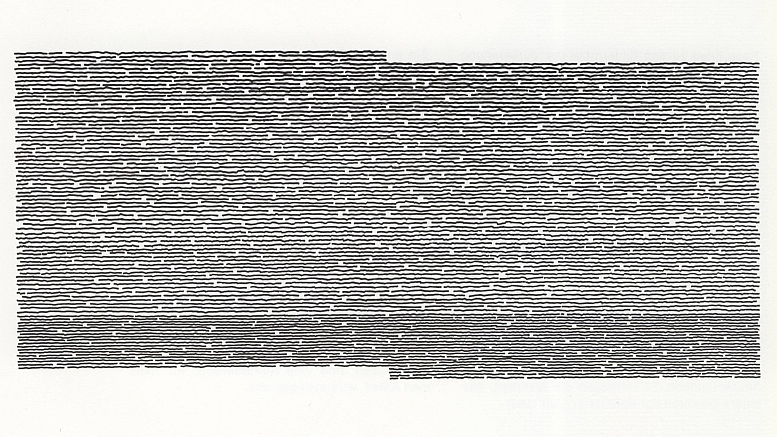 ): Joseph Binder, Wien – New York, Wien 2001 (=MAK Studies 1). Our warm thanks to Dr Gustav Belousek for authorising the use of these pictures.